Japanese BarberryDeciduous shrub. Moderate growth rate. Spiny, broad-rounded shrub with small green ..
Red-Leaf Japanese BarberryDeciduous shrub. Moderate growth rate. Gracefully arching branches with sm.. Dwarf Yellow Japanese BarberryDeciduous shrub. Compact, somewhat slow-growing, multi-stemmed habit. ..
Yellow Japanese BarberryDeciduous shrub. 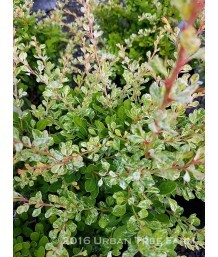 Compact, upright, somewhat slow-growing, multi-stemmed habi..
Concorde BarberryDeciduous shrub. Tight, dwarf habit. 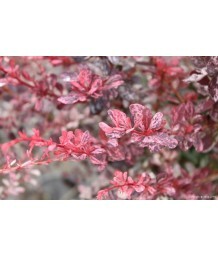 Deep purple small round foliage turns bright r..
Red-Leaf Dwarf Japanese BarberryDeciduous shrub. Slow growing. Low, compact growth habit. Has small ..
Red-Leaf Japanese BarberryDeciduous shrub. 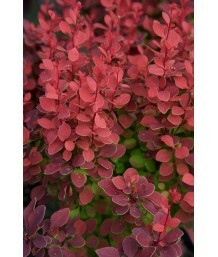 An exceptional golden Barberry in an exciting, compact, d..
Red-Leaf Japanese BarberryDeciduous shrub. Beautiful red leaves with golden edging. Bright yellow bl..
Golden Rocket BarberryDeciduous shrub. Very adaptable shrub that is tolerant of many pollutants as w..
Red-Leaf Japanese BarberryDeciduous shrub. Very adaptable shrub that is tolerant of many pollutants ..
Varigated Japanese BarberryDeciduous shrub. Compact, somewhat slow-growing, multi-stemmed habit. Ste..
Orange-Leaf Japanese BarberryDeciduous shrub. Very adaptable shrub that is tolerant of many pollutan..
Red-Leaf Japanese BarberryDeciduous shrub. Moderate growth rate. Somewhat arching branches with smal..
Yellow Japanese BarberryDeciduous shrub. 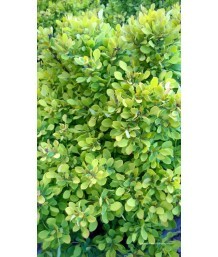 A new golden Barberry with a compact form. Displays attract.. Dwarf Wilson BarberryDeciduous shrub. Compact habit. Spiny, arching stems are covered in pinkish-red..
Butterfly bushSemi-evergreen shrub. Fast growth rate. Silver-gray foliage. 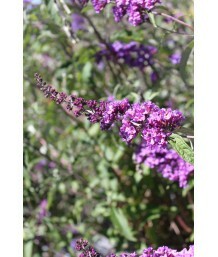 Sweet scented lavender-bl..
Butterfly bushSemi-evergreen shrub. Fast growth rate. Long, fat spikes of lavender blue flowers with..
Silver-leaved Fountain Buddleja/Weeping Butterfly BushSemi-evergreen shrub. Fast growth with a weepi.. Dwarf Butterfly BushSemi-evergreen shrub. Fast grower with texture green leaves grow on arching upri..
Butterfly bushSemi-evergreen shrub. Pruned into a small, single trunk patio tree. Fast growth. Spect..
Butterfly bushSemi-evergreen shrub. Fast growth. 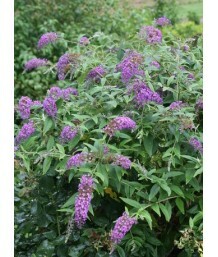 Spectacular summer color from dark, violet-purple f..
Butterfly BushSemi-evergreen shrub. Fast growth, round airy form. Rose purple flowers mid-summer to .. Dwarf Butterfly bushSemi-evergreen shrub. Long, soft grayish green leaves. Cones of white flower clu.. Dwarf Butterfly bushSemi-evergreen shrub. Long, soft grayish green leaves. Cones of magenta flower c.. Dwarf Butterfly bushSemi-evergreen shrub. Long, soft grayish green leaves. Cones of pinkish purple f.. Dwarf Butterfly BushSemi-evergreen shrub. Long, soft grayish green leaves. Cones of violet-blue flow.. Dwarf Butterfly BushSemi-evergreen shrub. Long, soft grayish green leaves. Cones of soft-pink flower.. Dwarf Butterfly bushSemi-evergreen shrub. Long, soft grayish green leaves. Cones of violet blue flow..
Butterfly bushSemi-evergreen shrub. Fast growth. Showy panicles of fragrant pink flowers with orange..
Butterfly BushSemi-evergreen shrub. Fast growth. Bright yellow leaves with serrate margins. Showy sp..
Butterfly BushSemi-evergreen shrub. Fast growth. Showy panicles of coral pink flowers from mid summe.. Dwarf Butterfly BushSemi-evergreen shrub. 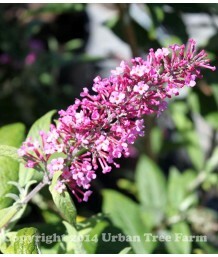 Bushy compact habit, arching stems, showy/fragrant flowers..
Butterfly BushSemi-evergreen shrub. Fast growth. Spectacular summer color from deep pink flower spik..
Butterfly bushSemi-evergreen shrub. Fast growth. Small narrow blue green leaves back long, full spik.. Dwarf Butterfly bushSemi-evergreen shrub. Bushy habit, arching stems, showy/fragrant flowers with vi..
Butterfly bushSemi-evergreen shrub. Pruned into a small, single trunk patio tree. Bushy habit, archi.. Dwarf Butterfly bushSemi-evergreen shrub. Fast growth. 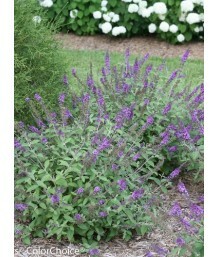 Spectacular summer color of dark lavender to ..
Butterfly BushSemi-evergreen shrub. Fast growth. Showy panicles or soft pink flowers from mid summer.. 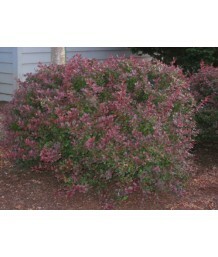 Dwarf Butterfly BushSemi-evergreen shrub. Long, soft grayish green leaves. 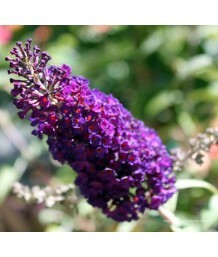 Cones of lilac-purple flo.. Dwarf Butterfly BushSemi-evergreen shrub. Long, soft grayish green leaves. Cones of blue-purple flow.. Dwarf Butterfly BushSemi-evergreen shrub. Long, soft grayish green leaves. Cones of soft purple flow.. Dwarf Butterfly BushSemi-evergreen shrub. Long, soft grayish green leaves. Cones of pink flower clus..
Butterfly BushSemi-evergreen shrub. Bushy habit, arching stems, showy/fragrant flowers with vigorous..
Butterfly BushSemi-evergreen shrub. Fast growth rate. Elongated, soft, fuzzy, grayish-green foliage .. 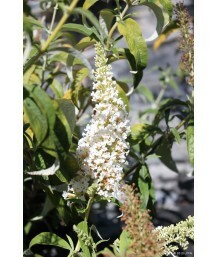 Dwarf Butterfly Bush/Summer LilacSemi-evergreen shrub. Fast growth with a slightly weeping habit. Sh..
Orange Ball Butterfly BushSemi-evergreen shrub. Fast growth rate. Open habit. Dark green leaves are ..
Butterfly bushSemi-evergreen shrub. Fast growth rate. Butterscotch yellow flowers bloom spring throu..
Butterfly BushSemi-evergreen shrub. Fast growth rate. Creamy yellow flowers bloom summer through fal..